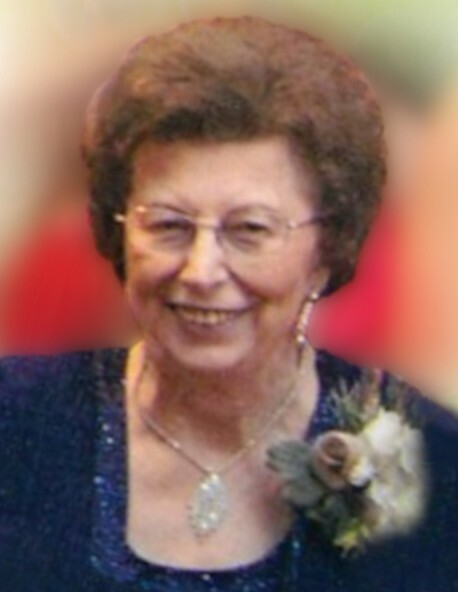 Emeline L. "Babe" (Mrs. Clarence) Barber, 89, of DeWitt, Iowa, passed away late Monday afternoon, September 3, 2018, at Genesis Medical Center, DeWitt. Mrs. Barber, the former Emeline Topinka was born April 14, 1929, in Sharon Township, Iowa, to the late Josef and Aloisie (Polak) Topinka. She attended Oxford Mills Schools. Babe married Clarence Barber May 16, 1952, at St. Joseph Catholic Church, DeWitt. In addition to being a wife, mother and homemaker, she worked at Iowa Mutual Insurance Company of DeWitt in her younger years and later at various local retail stores. Babe also designed custom draperies over the years. Her husband preceded her in death November 1, 1998. Babe's greatest enjoyment came from her grandchildren; following their activities and being their biggest cheerleader. She loved shopping and getting ready for her huge Easter egg hunts and Christmas celebrations. Babe enjoyed buying gifts for her grandkids for all holidays and any occasion she could come up with. Babe will be missed and always remembered. Surviving are her children and their spouses, Sheldon and Kathy Barber of Dysart and Shelley and Tom Hanrahan of DeWitt; her grandchildren, Kari (Petr) Vojtechovsky, Christopher (Kayla) Barber, Brice (Teresa) Hanrahan, Brandon (Yun Hui) Hanrahan, Kyle (Aubrey) Hanrahan, Nole (Bethany) Hanrahan and Quinn (Wes) Mackie; her great-grandchildren, Ella, Adam and Jakub Vojtechovsky, Gracie and Hazel Barber, Nicole, Madison and Kaitlyn Huffman, Henry and Grayden Hanrahan, Kinsley Hanrahan and Brigham Mackie; nieces and nephews. She was also preceded in death by brothers, Stanley and Joseph Topinka and sisters, Georgia Fritcher and Elsie Nodurft. The family will receive relatives and friends at Schultz Funeral Home, DeWitt, from 4:00 until 7:00 p.m. Thursday, September 6, 2018. A Funeral Mass will be held at 10:30 a.m. Friday, September 7, 2018, at St. Joseph Catholic Church, DeWitt with the Rev. Father Stephen Page officiating. Burial will follow at Elmwood Cemetery, DeWitt. Pallbearers will be Brice Hanrahan, Brandon Hanrahan, Kyle Hanrahan, Nole Hanrahan, Christopher Barber and Wes Mackie. Honorary pallbearers will be Quinn Mackie and Kari Vojtechovsky.